Many workers lose their lives while working underground, only because they lack proper protection. These works include installing valves, digging a building’s foundation, laying pipes etc. For ensuring these workers safety, trench box system is necessary. In this article, I will write about the benefits of having a trench box system. What is a Trench Box System? It is a structure made of steel or aluminum. It protects utility workers while performing their duties within a trench. Trench box system is also known as Trench shield or trench sheet. Before beginning an excavation, you need to have a full risk assessment of the site. This will highlight any potential risks. Then, consider the trench. Consider its size and its access point. In case of emergencies, you should have safe access within 25 meters of the workers. You also need to test the atmosphere in the trench for low oxygen level or toxic gases. You need to inspect the trench box system daily for signs of damage or movement. Everyone on site should wear protective equipment, steel toed boots, hard hat, high visibility clothing, etc. Place and store away heavy equipment and tools from the edge of the trench. There is movement of the earth around the trench. Therefore, extracting it is difficult than installing it. Use a chain sling for extraction. Then, follow one of these three methods: Straight pull, Half pull, and Single pull. 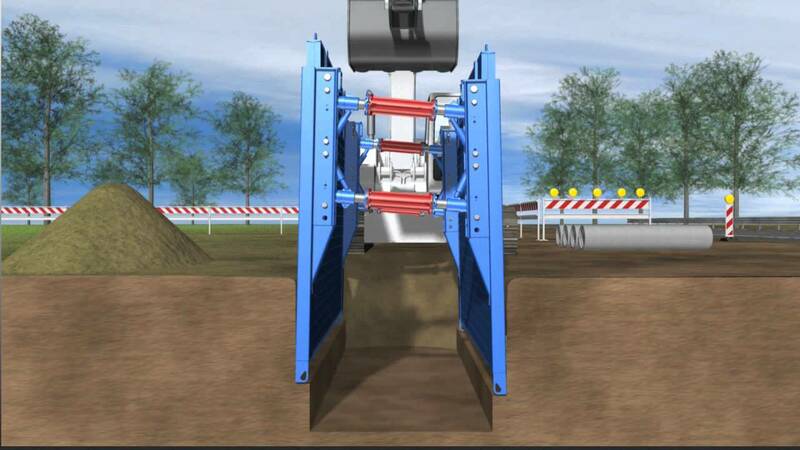 The main benefits of having a trench box system are described below. A trench box system provides quick and efficient ground support for trenches. It is essential for workers’ safety and security. It can give them a lot more control over the trench’s security and general stand up time. In this system, modular struts allow easy width adjustment. It can sustain lateral earth pressures up to35kN/m2. It is good for rapid shoring of trench runs. There are pinned struts, which allow easy adjustment. Trench box system can manage any kind of ground anxiety. There can be many types of trench boxes in a trench box system. They are listed below. 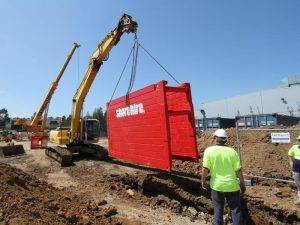 A trench box system is vital for workers’ safety in their work place. Employers should install this abiding the rules.